Goldlink opened the show bursting with energy, with the crowd following in his footsteps. From the pit to the furthest back level in Fox Theater, every soul in the venue was jumping or rocking to his lyrics. He ran back and forth across the stage, throughout each song, making sure every inch of the crowd was equally as involved and excited. At one point, Goldlink jumped on top one of the speakers! As he thanked the crowd and exited, the crowded was left full of exhilaration and anticipation for Kaytranada's set while constantly inching closer and closer to the stage. 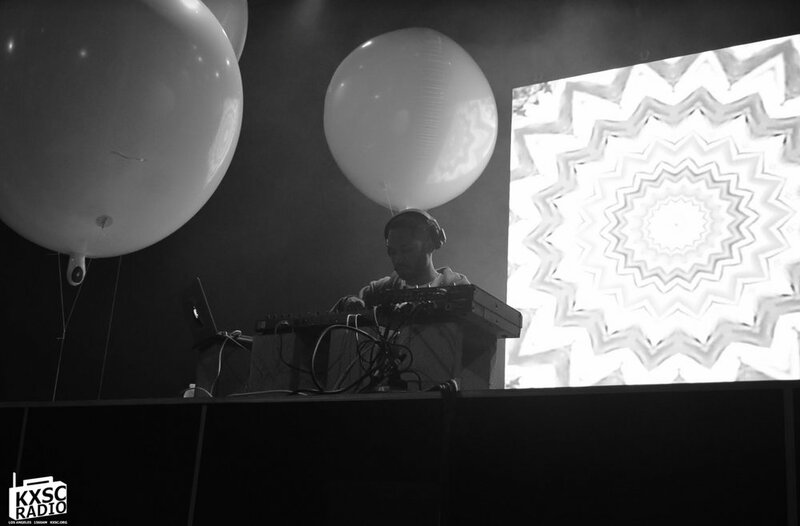 Surrounded by equipment framed with several massive white balloons on each side, Kaytranada filled the entire theater with his presence and irresistible dance beats. He kept the crowd on edge, ebbing and flowing with music new and old while teasing the crowd- keeping them begging for more throughout the two-hour set. Kay smiled at the crowd and danced with them, dabbling in ballerina moves and dabs as he seamlessly mixed between Michael Jackson and The Black & White Brothers samples. The visuals on a small projector behind him resembled doodles from a graphing notebook that had come to life, dancing across the screen with repeating patterns and colors. Louis Celestin, the masterpiece behind Kaytranada, has been producing for the past seven years now; a talent of his that has become extremely clear during his live sets as he accurately responds to the audience’s vibes. His first official album, 99.9%, was nominated for JUNO’s "Breakthrough Artist of the Year" and "Album of the Year" in 2017. Throughout this album, Kaytranada explores his Haitian roots with the use of complex drum sequences and rhythms. Kay’s creative unpredictability within 99% mirrors that of his sets, as he kept the crowd dancing and constantly eager to hear what was queued up next.